Blacksmithing allows you to create heavy armor and metal weapons from ores you gather in the world. You can gather items without learning a separate gathering skill. You start out with one point in each of the crafting professions. Creating, deconstructing, and improving items levels your crafting skills. Once you reach certain levels, you can choose to apply your skill points to passive crafting skills. NOTE: To be able to craft items beyond the first tier, you must apply skill points to the Metalworking skill. Special thanks to Shadowmourn for assistance with tracking the upgrade levels in-game. Metalworking 1, 5, 10, 15, 20, 25, 30, 35, 40, 50 (9 pts) Allows the use of ingots to create items. One point for every material tier. Keen Eye 2, 9 (3 pts) Makes ore easier to see in the world from 20-40 meters. 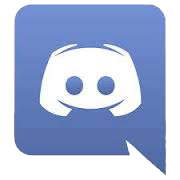 Miner Hireling 3, 12, 32 (3 pts) A miner hireling will send you ore & possibly other items. Metal Extraction 4, 22, 32 (3 pts) Improves chance of extracting Blacksmithing ingredients. Metallurgy 8, 18, 28 (4 pts) Reduces research time (by 5, 10, & 20%) & allows research of multiple items (2, 2, & 3) at once. Temper Expertise 10, 25, 40 (3 pts) Increases chance of improving items with tempers. 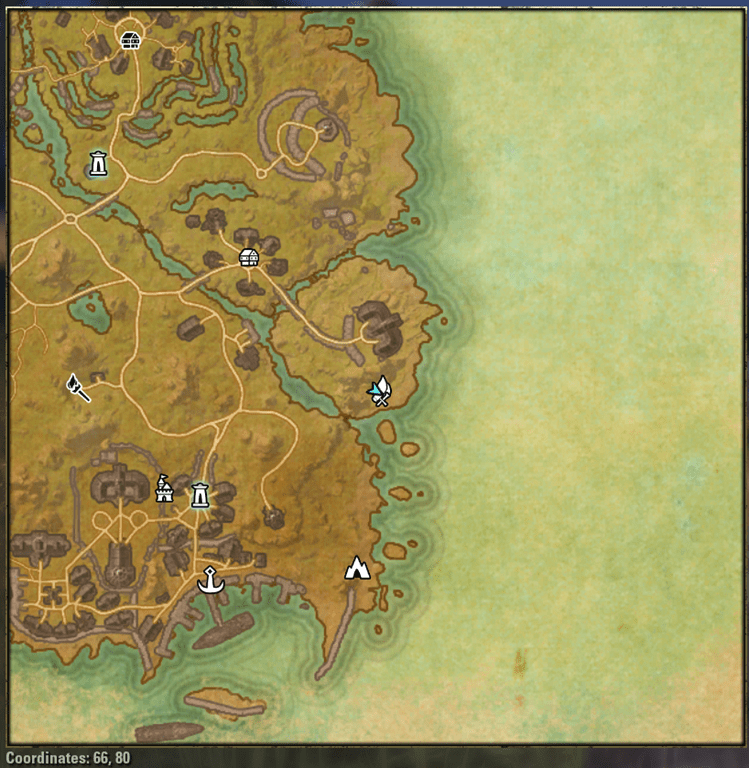 You can find crafting stations in each of the large towns and cities, marked by a flag. Usually the Blacksmithing and Clothing stations are co-located with the Woodworking station nearby. There are also vendors located near each station that sell items needed for crafting. Hidden crafting stations are scattered throughout the world and are the only stations where you can apply set bonuses to items. The set bonuses vary from station to station and require you to have learned from 2-9 traits before you can craft an item with the bonus. There are 15 crafting stations per faction, but each faction shares the same bonuses. Other stations are located within faction-neutral zones. Blacksmithing requires ingots to make items. To make ingots, you need to refine the ore you gather in the world. To do so, use the Blacksmithing Refine Menu and add ore (10 pieces at a time), then hit Refine. Creating items is a multi-step process. You can use materials located in your bag or bank to create items. First, pick the item you want to create. You do not need to learn how to create any patterns. Note that there are separate menus for armor and weapons and at the hidden stations there are two additional menus for items with the set bonus. Second, choose the material you want to use to create the items. You must have refined ore in your bag or bank to be able to create the item. You must also put points into the Metalworking skill tree to be able to craft items beyond the first tier (iron). There are 2-7 levels of items per material tier, eg, in the iron tier you can craft level 1, 4, 6, 8, 10, 12 and 14 items. Your character must be at or above the item level to craft and wear the item. 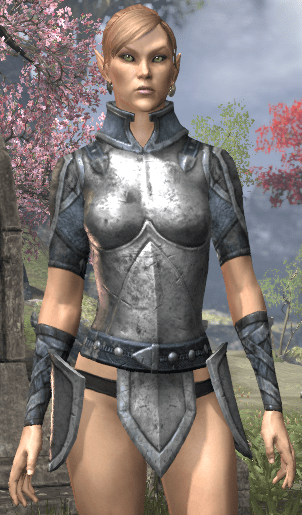 Each level within a tier requires additional ingots to create an item (eg, level 1 iron cuirass requires 7 iron ingots, level 4 iron cuirass requires 8). 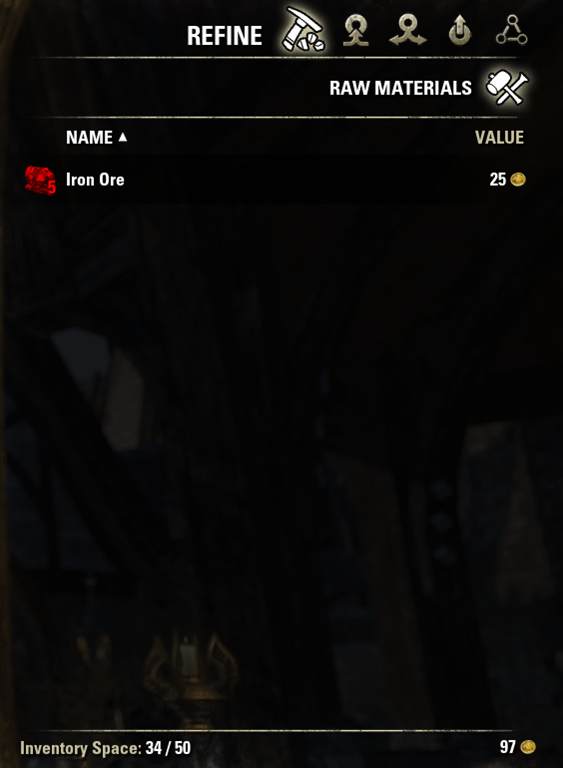 Also, each tier starts out requiring more ingots than the previous tier (eg, level 1 iron cuirass requires 7 iron ingots, level 16 steel cuirass requires 8 steel ingots). NOTE: To create a higher level item within a single material tier, click on the + sign next to the number or materials required to create the item. CP160 Costs 10x that of CP 150 items. Third, choose your style. Each item is available in a number of different styles. To create an item in a specific style, you need to use the style-specific stone. Each race is able to craft the style appropriate to their race, but must learn the rest. Style motifs are located in containers scattered randomly throughout the world or in locations indicated in the table. Race style-specific stones can be purchased from vendors located near the crafting stations, by deconstructing other items or by finding them in cupboards, desks and nightstands. All other stones can be found as indicated in the table. Last, choose the trait you want the item to have (optional). 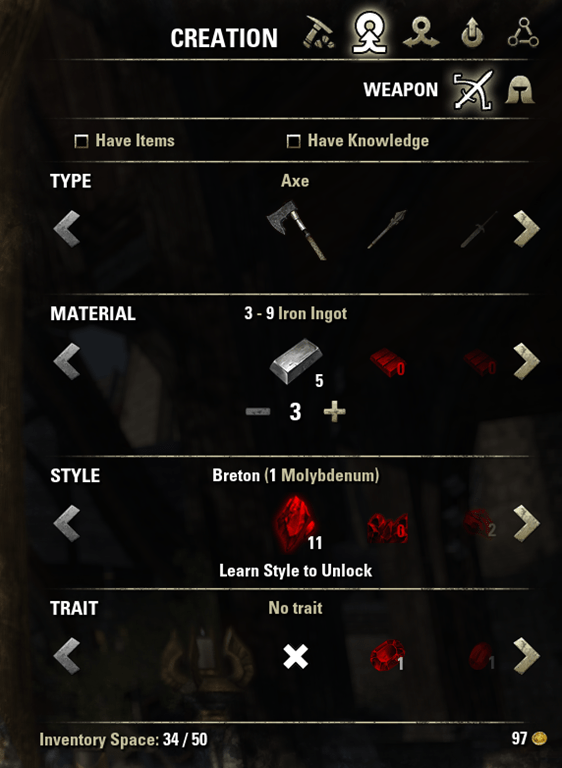 To apply the trait to an item, you will need one of the following stones that is consumed upon use. You can obtain these stones from gathering ore, opening containers or deconstructing items. 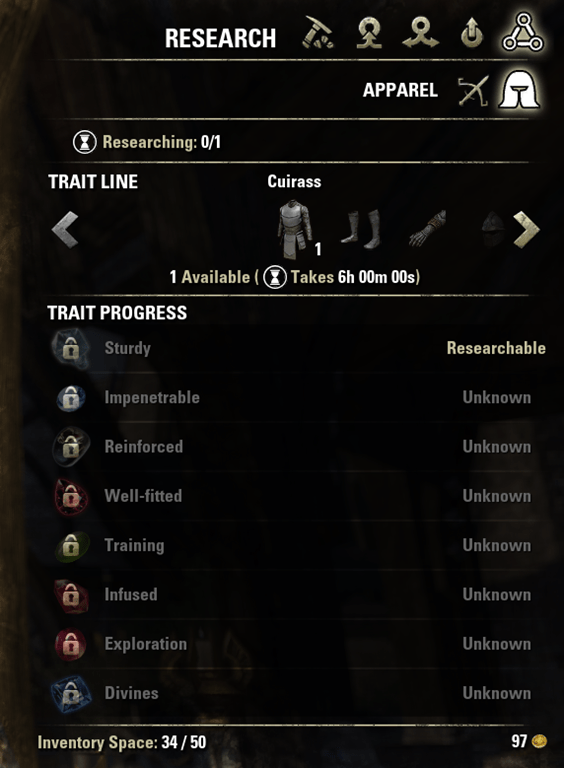 Please see the Research tab of this guide for information on how to learn Traits. 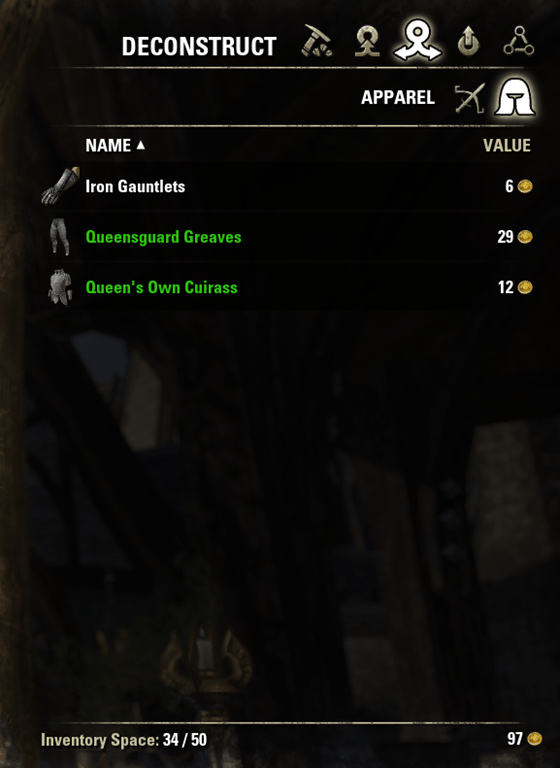 One of the nice things about crafting in ESO is that you can take items you’ve earned and deconstruct them for materials. You can also deconstruct items you’ve crafted so that you can apply a new style-stone, but be aware that deconstructing does not yield the same amount of materials it takes to create the item in the first place. Also, deconstructing items you’ve found or that others have created yields more experience than deconstructing items you’ve created. BE CAREFUL! Items in your bank are also available to deconstruct from the crafting station. All crafted items start out a the Normal (White) level. You can improve these items by applying tempers, but doing so only gives you a chance to improve the item. Adding additional tempers gives you a better chance, but each level requires more tempers to do so. Putting points into Temper Expertise improves your chances. Increasing the quality of an item, increases its base stats and changes the coloring of the trim slightly. Research allows you to learn a trait that you can place on other items. To do so, you must locate an item that already has the trait. Researching takes several hours, destroys the item, and only applies to the type of item (eg. cuirass) the trait came from originally. If you want the trait on another type of item, you will need to start the process over. 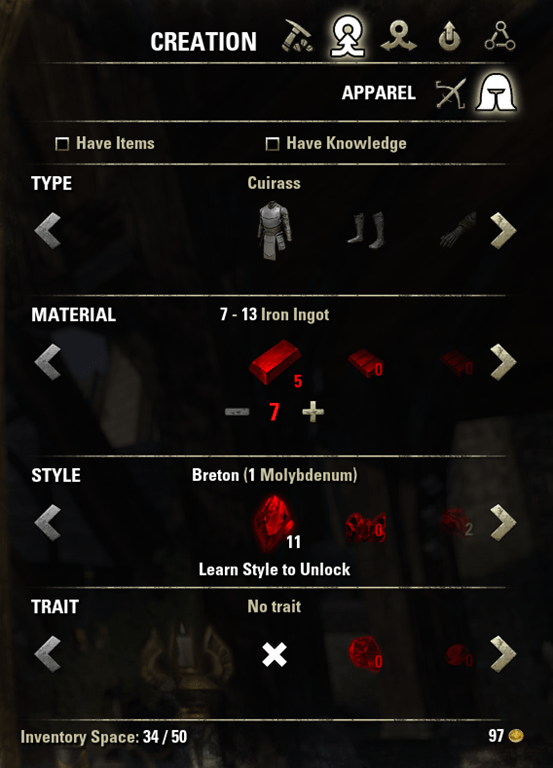 You can only research one item per crafting profession at a time, which means you cannot do an armor item and a weapon at the same time (unless you put points into Metallurgy). 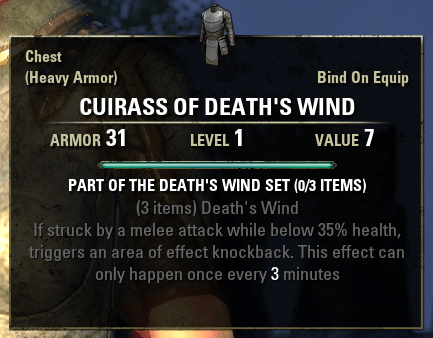 The first time you research a trait on a particular item (eg, cuirass) it will take 6 hours. This doubles for every subsequent trait you research on that same type of item. The timer starts over for the next type of item (eg. pauldron) you research. 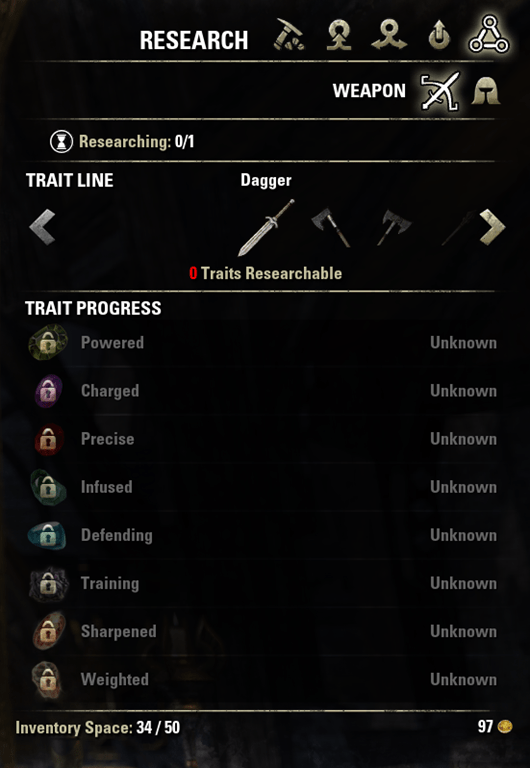 There are 9 traits, so it will take 1,536 hours (over 63 days) to learn all 9 traits per item. To learn all 9 traits on all 7 armor or weapon items it will take 10,752 hours (over 446 days). The first point in the Metallurgy skill (available at skill level 8) speeds up research time by 5% and allows you to research 2 items at once. The second point is 10% and 2 skills and the third point is 20% and 3 skills. At 20%, the total time to research one trait is 1,224 hours (51 days). Maxed out in Metallurgy, you could potentially learn all traits for all 7 armor or weapon items in 2,448 hours (102 days) – total research time, not actual time. 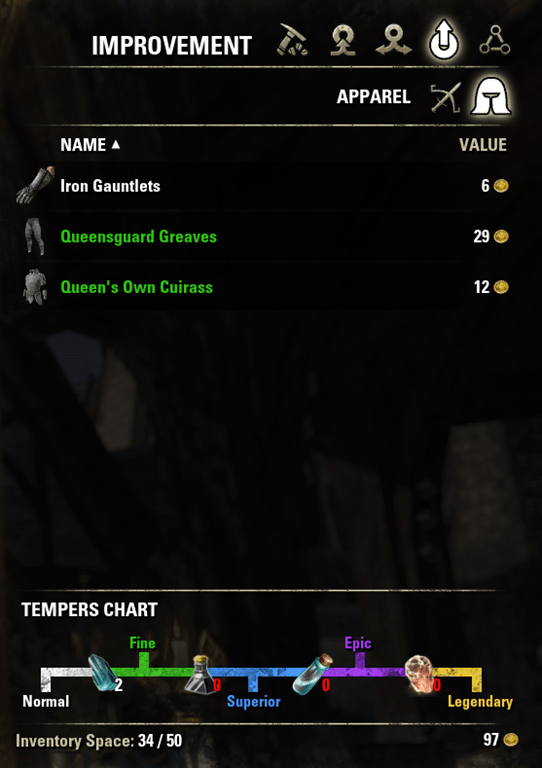 Crafting Writs are repeatable daily quests (available every 20 hours) that require you to create specific goods appropriate to your skill level and deliver them to the individual who requested them. To take on a writ, you’ll need to be certified in the related crafting skill—not just any apprentice can be entrusted with these missions. You can obtain a quest for certification from any Writ Board, which you’ll find in every major city, or you can go directly to the certification trainers yourself. Note that you’ll need to be at least level 6 to get started. There are two kinds of Writ Boards: one for Alchemy, Provisioning, and Enchanting, and another for Woodworking, Blacksmithing, and Clothier. You’ll find certification trainers in Davon’s Watch, Daggerfall, and Vulkhel Guard. These NPCs have been given the authority to identify you as a certified crafter once you’ve completed their quests. Each of the two trainers oversees three crafting skills: one can assist you with equipment crafting skills—Woodworking, Blacksmithing, and Clothier—and the other handles consumables: Alchemy, Provisioning, and Enchanting. Though you can only have two certification quests in your log (one from each of the NPCs) at once, you can eventually complete the process for all the crafting skills. Certification is easy; you’ll be led right to any materials you need and walked through the process. It’s a great introduction to crafting, so give it a try if you haven’t before. It’s important to note that you can fast-track your certification if you’ve already proved your mastery of a skill by reaching rank 10 in it. If you’d like, you can still go through the quests, but you’ll have the option to skip right to the end, considering your prior experience! The trainers will guide you through the crafting process, giving you helpful tips and showing you the ropes of your chosen skill. Once you’ve completed the objectives your trainer gives you, that’s it—you’re certified and can now take on Crafting Writs. You can obtain Crafting Writs from the Writ Boards we talked about earlier, which are conveniently located in major cities. A writ will require you to create specific goods that are appropriate to your skill level and deliver them to the individuals who have requested them. Once you turn in your writ in a destination determined by the tier of material you’re crafting, you’ll receive rewards—pretty simple. 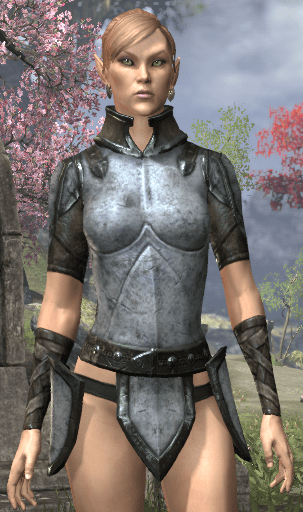 Crafting Writs for a particular skill can only be obtained once a day, but you can pick up writs for each type of craft simultaneously. 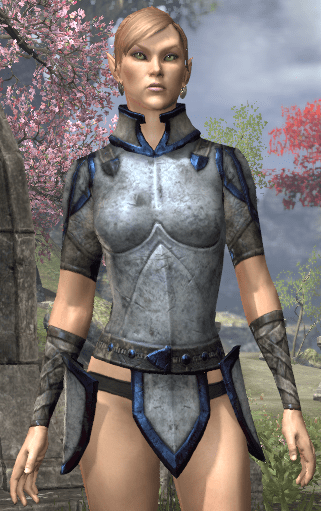 As you complete writs, you’ll earn inspiration in the associated crafting skills, and you’ll receive packages of useful goods and materials as well. These packages can contain Survey Reports—a new type of item somewhat like treasure maps that will lead you to clusters of high-yield harvest nodes exclusively available to you. Provisioners have a chance to receive recipes instead of Survey Reports, since their materials aren’t gathered from the wilds.